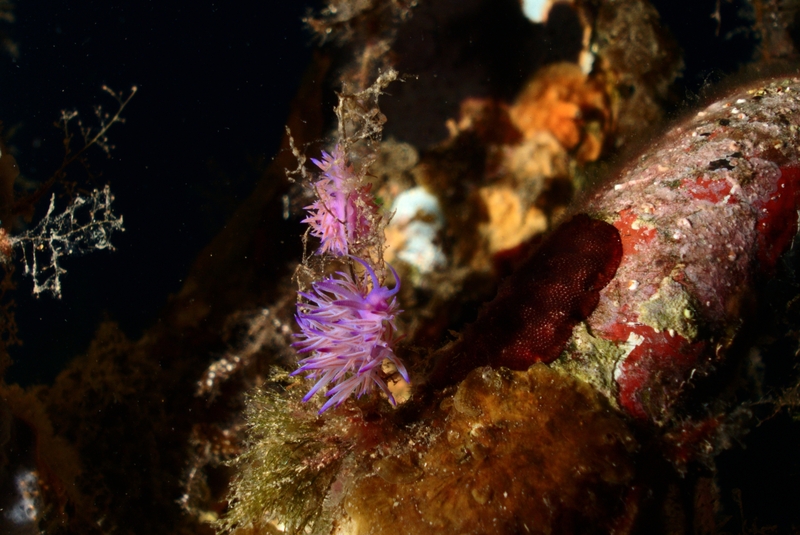 A pair of Flabellina affinis on the P29. Today we were lucky to find many of these, giving me a chance to practise my high-shutter-speed photography! This work is licensed under a Creative Commons Attribution-ShareAlike 4.0 International License. Please attribute Kristaps, the photographer, with a link to kristaps.bsd.lv/photo0066.html.